This long necked fellow is handmade using galvanised and scooby wire. 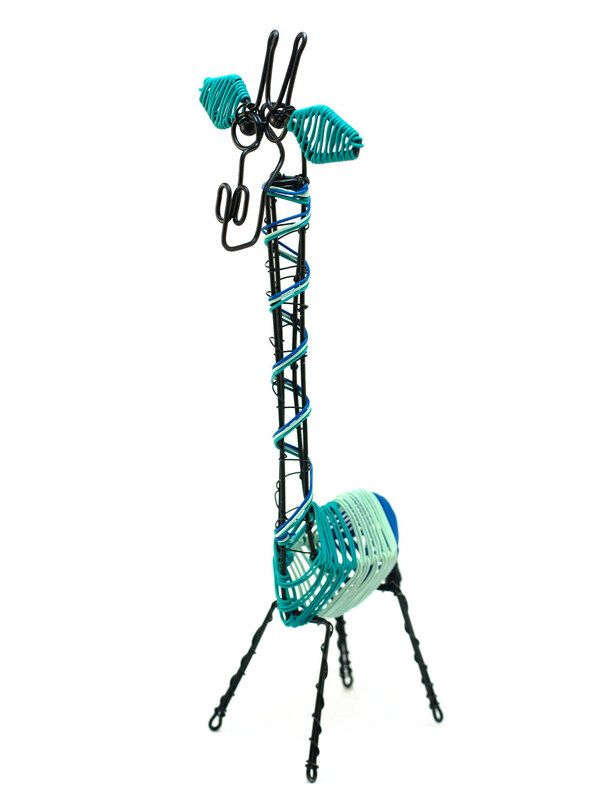 Skilled wire artisans frame the distinctive Giraffe shape and crafters carefully wrap it with colourful scooby wire creating this 3D piece in various colour combinations. 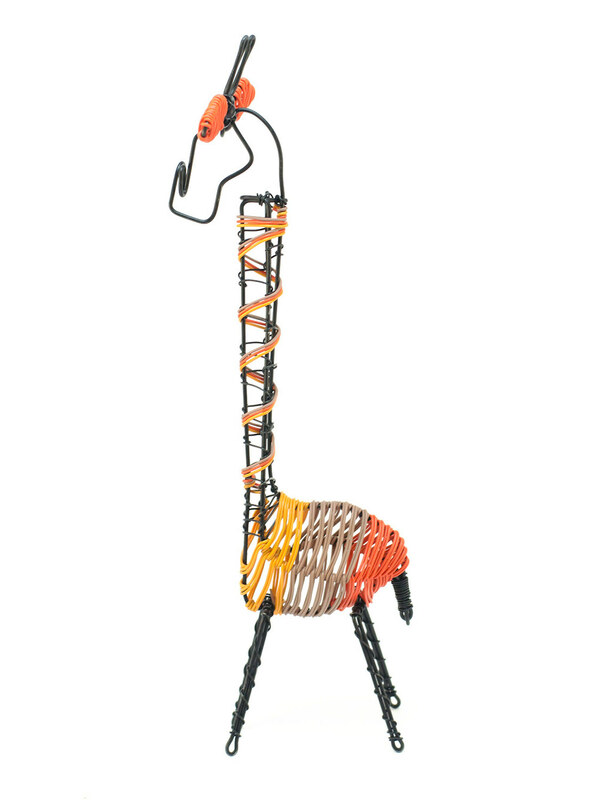 We electroplate the wire in black to give the Giraffe a distinct look.